1. Multimodal biometric System using Face,Iris and Fingerprint images for High security Applications” in Scopus Indexed journal of Communication technology and Electronics. “Research challenges in multimodal biometrics-A critical review” -International Journal of control theory and applications (IJCTA). “multimodal biometrics systems-A review” -International Journal on computing ,communications and systems (IJCCS). “Technique For migration to IPv6 for a secure SCADA architecture” -International Journal of emerging technology and advanced engineering (IJETAE). “Advanced image restoration for head way video recorder” -International Journal of applied engineering & computer applications. 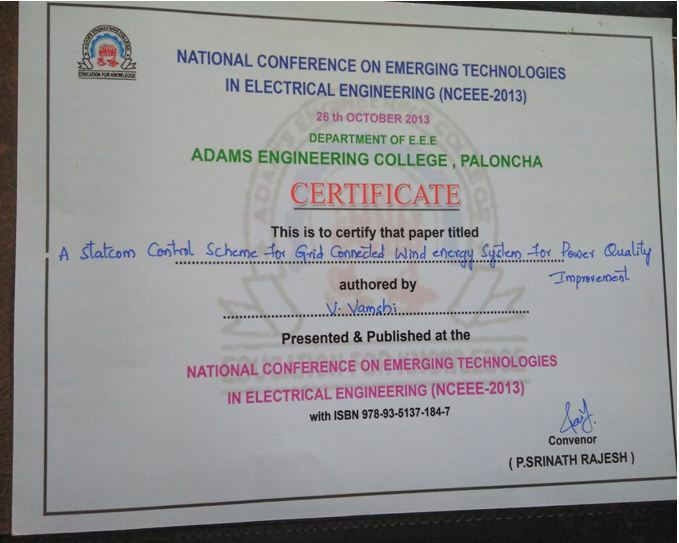 Participated in a National level Workshop on “advanced embedded systems” on 4th September 2013 at kakatiya institute of technology & sciences. 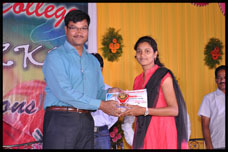 Participated in a National level Workshop on “low power VLSI” at vagdevi college of engineering ,warangal. 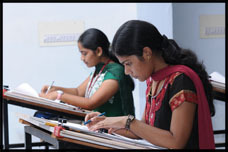 International Conference on Communications, Signal processing, computing & information technologies (ICCSPCIT-2014) on 26, 27­th December 2014 at Mallareddy college of engineering, Hyderbad. International Conference on Signal processing & communications on 2 & 3rd of January 2015 at KL university , Vijayawada. 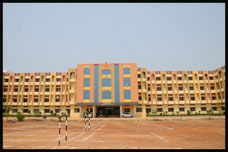 Participated in one day FDP on “EFFECTIVE METHODS OF TEACHING FOR ENGINEERING FACULTY” on 1st September, 2012 at OU Campus, Hyderabad. 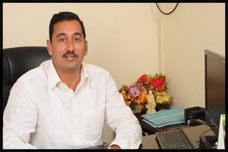 Attended one day seminar on “Effective Methods of Teaching for Commerce Faculty”, 1 st SEP.-2012, OU, Hyderabad. 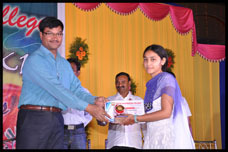 Attended two days’ workshop on “Advanced Trends in VLSI Design”, October.-2013, Kshatriya college of engineering, Karimnagar. Attended one day seminar on “Optical fiber communications”, 27th MARCH.-2015, at VEC,Khammam. 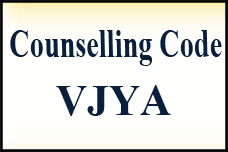 The vijaya engineering college provides an opportunity of the faculty for research programs and innovations to the field of electrical and electronics engineering with different areas of interest like power systems and power electronics and drives and resent trends in distribution networks also per transmission line design. 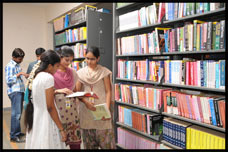 The eee departments have vast scope for research activities and resources and journals are available in vijaya engineering college.